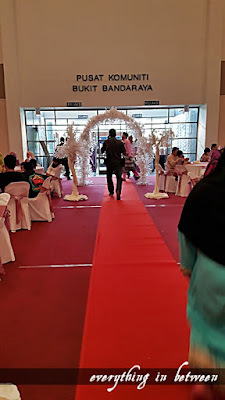 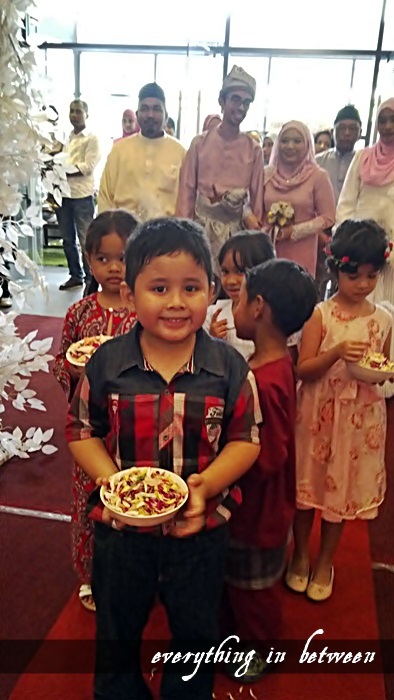 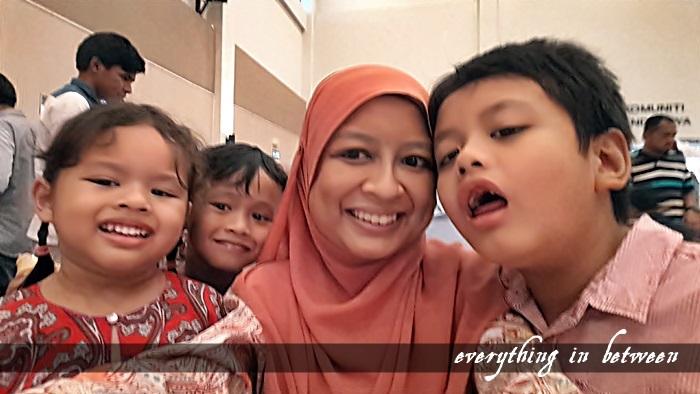 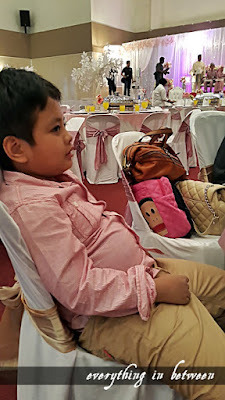 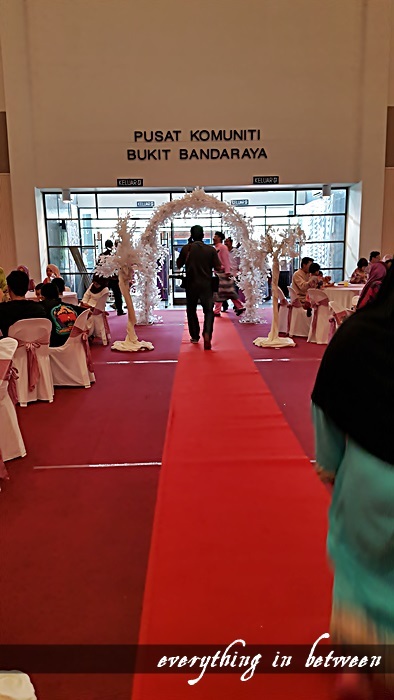 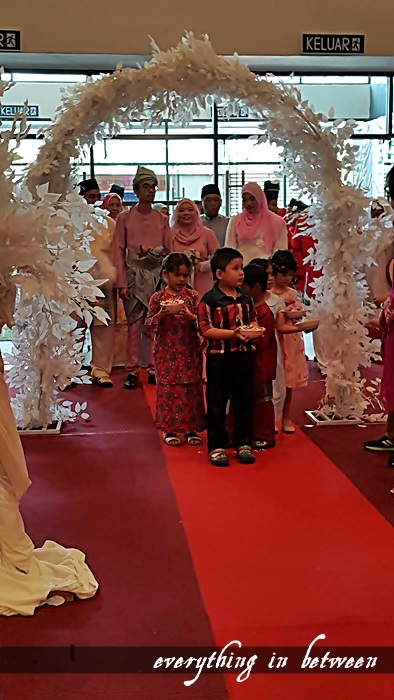 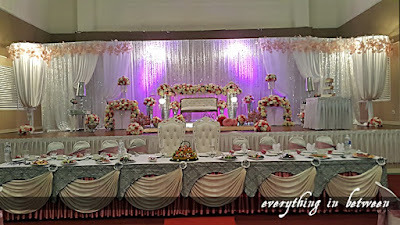 My auntie's youngest son.. so this is her last wedding to host.. the venue is pusat komunity Bukit Bandaraya.. they co-host between the groom & bride's family.. I guess this is better, a part from sharing the cost, it saves time and the hassle.. so you prepare the celebration at one go.. 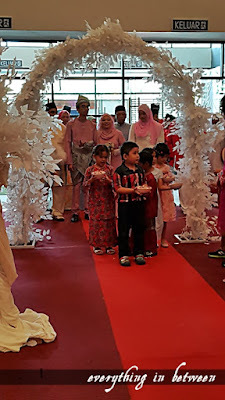 It was such a beautiful event.. 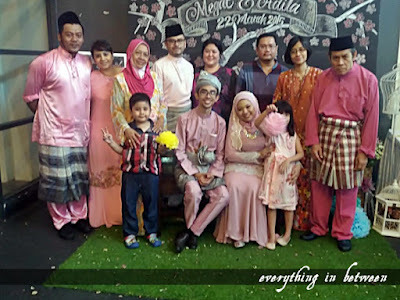 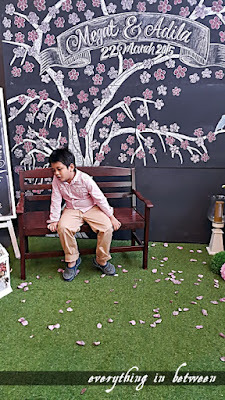 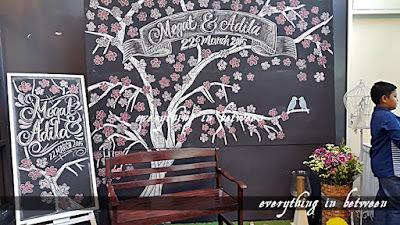 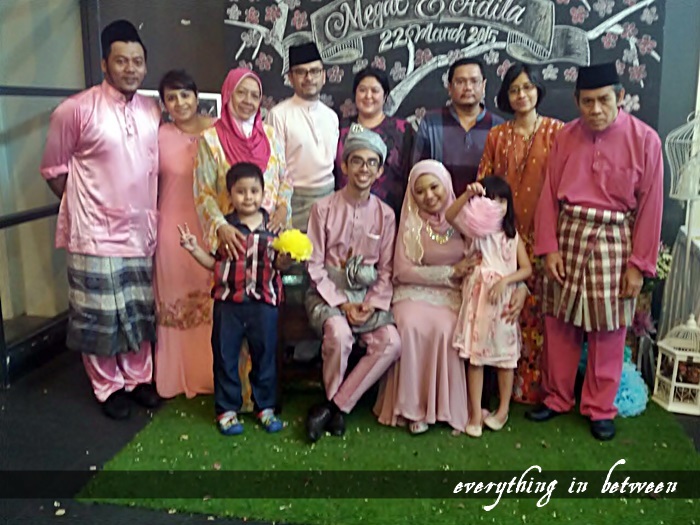 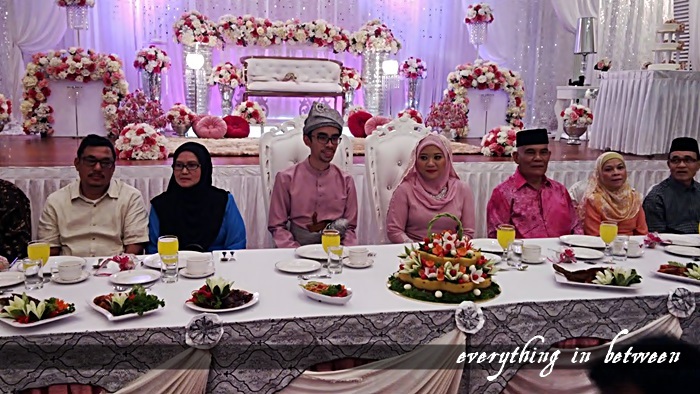 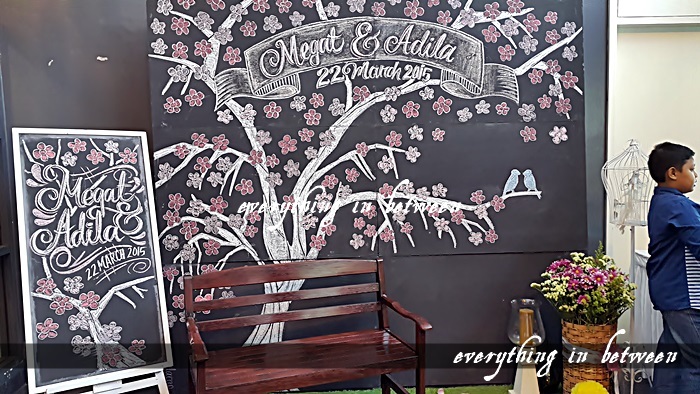 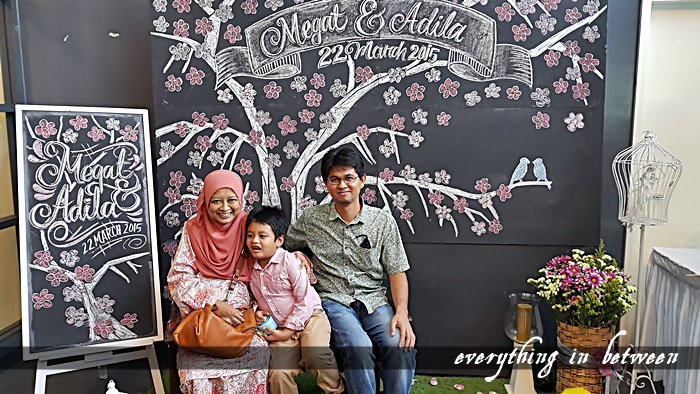 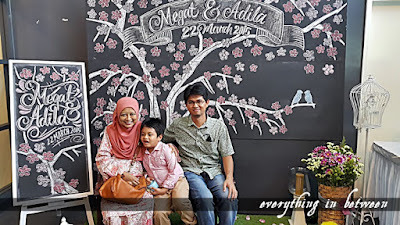 I love the dais and their theme colour.. and love love love their photobooth.. a background of cherry blossom drawing using chalk on a blackboard.. looks so very classic.. such a good idea..
To my cousin "Izzudin & Wife.. Have a happy and prosperous life together"